It’s fascinating (at least to us) to find out how classic children’s books were created. There aren’t necessarily magical stories behind them; some were conceived in bars or business meetings, some were inspired by hated relatives, and some just evolved out of other books. Still, it’s interesting trivia. Here are some examples. When Hans Augusto Rey was growing up in Hamburg, Germany, he loved going to the zoo. 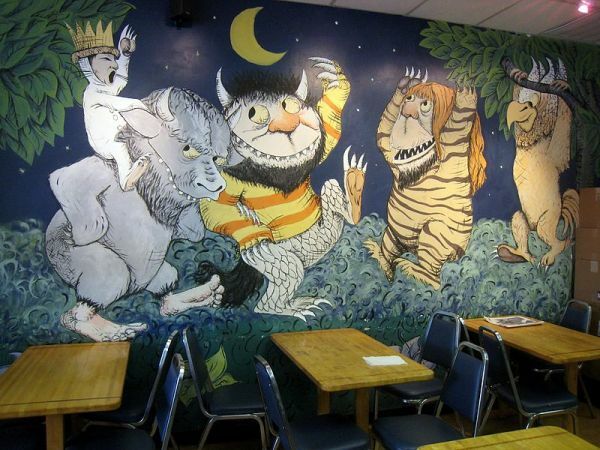 Later, when he began writing children’s stories, he filled his books with the exotic animals from his past. His first book, Cicily G. and the Nine Monkeys, was about a giraffe who befriends some monkeys. Rey gave each of the monkeys personalities, including one named George, which he described as “clever and curious.” He liked George so much that he wrote an entire story about him. 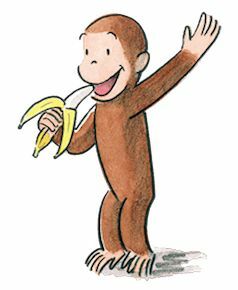 Curious George was published in 1941. Note: Curious George literally saved Rey’s life. In 1940, Rey and his wife were in Paris when the Nazis invaded, and he had to flee the country. While trying to escape on bicycles, they were arrested by police who thought they were spies. An official searching their belongings came across an unpublished manuscript of Curious George, and released the Reys, saying that no spy could write such a wonderful story. 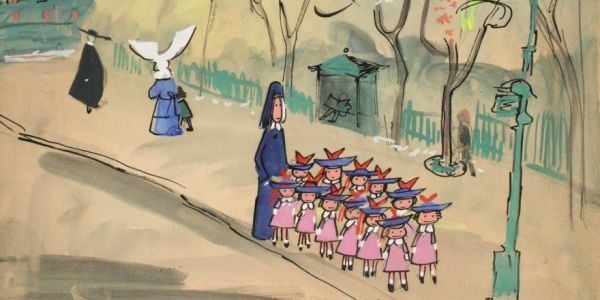 In 1939, Ludwig Bemelmans wrote the first Madeline book in Pete’s Tavern at 18th and Irving in New York City, using the backs of the tavern’s menus as writing paper. The story was based both on his mother’s life as a young girl in Bavaria, and his own recollections as the smallest boy in a boarding school. He named the main character after his wife Madeleine, a former nun (he changed the spelling so it would rhyme more easily). In 1941 Antoine de Saint-Exupery, a famous French Air Force pilot, adventurer, and author, was having lunch with a publisher in New York. He happened to pick up a napkin and started doodling a picture of a little boy. “Who’s that?” the publisher asked. 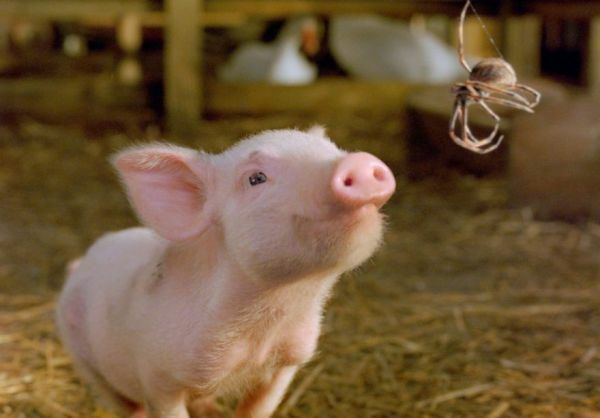 “Oh,” Saint-Exupery reportedly replied, “just a little fellow I carry around in my heart.” The publisher suggested that Saint-Exupery wrote a story about the character. 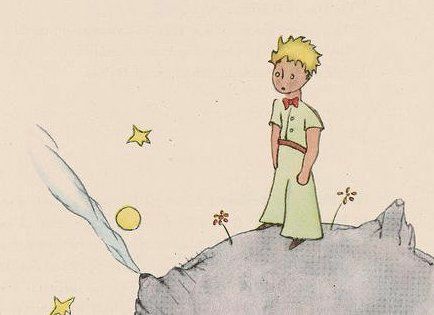 He agreed to give it a try, and The Little Prince was published in 1943. In 1921, essayist A.A. Milne gave his son Christopher Robin a stuffed bear for his first birthday. He named the bear “Winnie-the-Pooh” after Winnie, a real bear at the London Zoo. Milne entertained his son with stories about Pooh that were so charming, the editor of a London children’s magazine suggested he publish them. 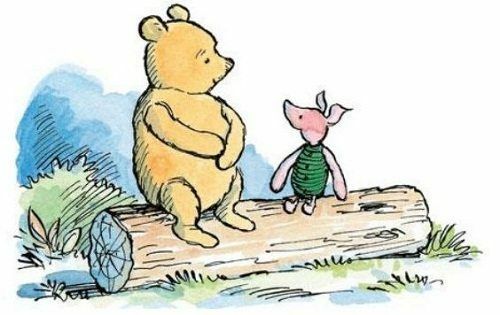 When We Were Very Young, a book of verse introducing Pooh, came out in 1924, and Winnie-the-Pooh was published in 1926.